The "Theatre In LA Top Rated Plays List" is a list of the top rated plays now running in the Los Angeles area based on what the current reviews are saying. To see all of the play reviews go to Review Round-Up. Set in a small town beauty salon in Louisiana, Robert Harling’s Steel Magnolias celebrates the bond of friendship between six women in the midst of life’s challenges. 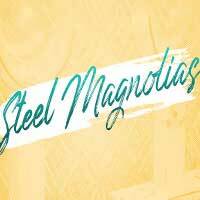 Based on the playwright’s upbringing, and later adapted into the critically praised film, Steel Magnolias is a humorous, yet devastating journey of friendship, loss and love. Don't miss the Actors Co-op production of this modern classic. The show is recommended for ages 13 or older. From the safety of their suburban stretch circle, a girls' indoor soccer team navigates big questions and wages tiny battles with all the vim and vigor of a pack of adolescent warriors. A portrait of life, liberty and the pursuit of happiness for nine American girls who just want to score some goals, The Wolves -- Sarah DeLappe's award-winning first play -- premiered off-Broadway and went on to win the American Playwriting Foundation's inaugural Relentless Award, and was a finalist for the 2017 Pulitzer Prize for Drama. 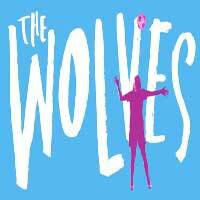 Now The Wolves can be enjoyed at the Atwater Village Theatre in Los Angeles. 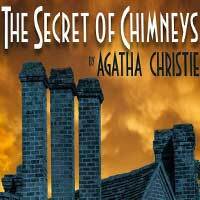 The Group Rep presents Agatha Christie's long-lost play The Secret of Chimneys, directed by Jules Aaron, produced by Kathleen Delaney & Kevin Hoffman, Jr. In this mystery, a cosmopolitan adventurer on a mission discovers more than he bargained for when he arrives at an English country house and finds himself in the center of a murderous international conspiracy. This sinister plot of stolen diamonds, secret oil concessions and exiled royalty unfolds under the purview of both Scotland Yard and the French Surete. Chimneys is Christie at her best: a comedy of manners laced with murder at the Lonny Chapman Theatre in North Hollywood! Brimming with poetic language and indelible characters, this play about the enduring but limiting nature of love and family made Tennessee Williams a household name. 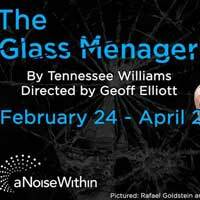 The Glass Menagerie centers on an innocuous visit from a potential suitor that unsettles the sheltered Wingfield family. Matriarch Amanda fiercely protects her adult children from the harshness of others, but doesn’t realize that her own eccentricities are the biggest threat to their psychological survival. Enjoy this timeless theatrical classic, directed by Geoff Elliott at Pasadena’s A Noise Within. In this fresh retelling of the classic Greek myth at A Noise Within in Pasadena, Jason and his quest for the Golden Fleece has been reframed for our time. Join the fantastic voyage and encounter Hercules, Hera, sirens, centaurs, and more -- familiar mythological figures whose modern-day equivalents show unexpected character and depth. 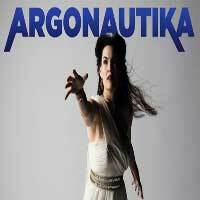 Tony Award-winner Mary Zimmerman's Argonautika reveals the humanity in the most monstrous of creatures in this unforgettable journey for the ages, packed with humor, love and the unimaginable. 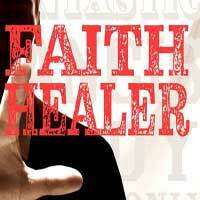 Brian Friel’s mysterious, humorous and unforgettable work about the life and times of an itinerant Irish healer. Is Fantastic Francis Hardy a miracle worker — or a showman in search of a dollar? 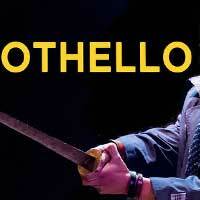 As part of their 2018-2019 theme "Let Me In," about the deeply human need to be understood for who we are, Pasadena’s A Noise Within theater company presents Othello. Arguably Shakespeare’s most intimate of family tragedies, it’s the tale of the breakdown of a man who has everything — power, position and love — only to find his world decimated through intense mind games with his malicious ensign. Prescient in its searing social commentary of prejudice, betrayal and thwarted ambition, Shakespeare’s thunderous drama examines who we trust and the price we pay when we make the wrong choice. 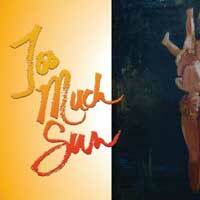 Bart DeLorenzo directs the acclaimed off-Broadway hit play by Nicky Silver. Celebrated actress Audrey Langham reaches her breaking point while rehearsing Medea in Chicago — walking off the stage, out of the production and into her married daughter’s summer house in Cape Cod, where her unexpected and unwelcome arrival sets off a chain of events alternately hilarious and harrowing. “Critic’s Pick… An unconditional treat… Mr. Silver is a dramatist with an original and thoroughly sustained tragicomic worldview.” — Ben Brantley, The New York Times.